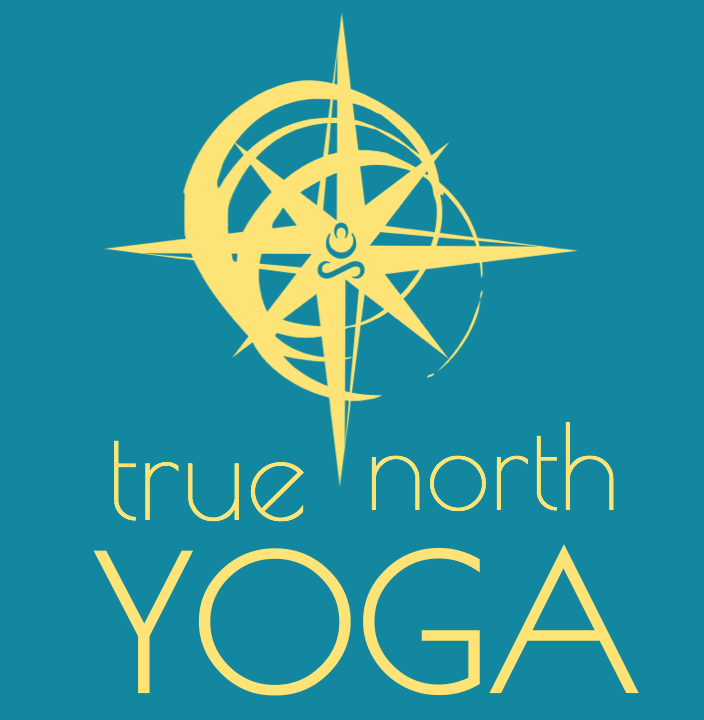 At True North Yoga, our instructors are a huge part of what makes us special. Our teachers come from a variety of backgrounds with many specialties and are each dedicated to providing a caring and compassionate space where students can explore something more, on their mats and beyond. Crystal has been teaching and studying yoga for 8 years, with a background as a fitness instructor for 24 years. She has completed her 200 hour yoga teacher training through Wanderlust Studios, and is a 200 Yoga Alliance Registered Teacher. Crystal’s teachers include Meg McCraken, Shari Beard, Gioconda Parker, and our own Tim Whitaker, among many others on her journey. She is currently working toward an additional 300 hour teacher training through Alaya Yoga School. Crystal believes that yoga is more than just yoga poses, that yoga is a way of walking on this earth! We do not have to stick the perfect pose to call ourselves a true yogi. Crystal makes room for all abilities in her classes, understanding that we all have injuries and limitations that we can work around. Modifications can be made to help each student feel challenged and successful. She brings some spiritual nuggets from yogic philosophy to the practice, inspiring her students to live calmer, more peaceful lives. You will leave classes feeling challenged, but accepted, and evolving in mind, body and spirit! Ginny began exploring yoga on and off in high school. She eventually returned to the practice for good after many years of pain due to a lower back injury. She quickly discovered that her injuries were healed, she felt stronger in mind and body, and that yoga was really fun! With her background as a school teacher, she naturally felt compelled to share the gifts yoga had given her with others. 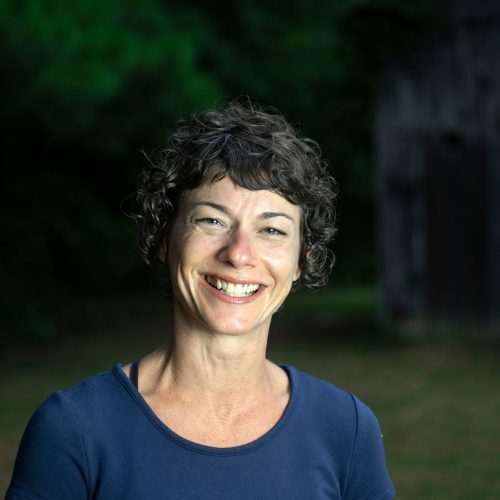 Ginny studied as an apprentice with her mentor Tim Whitaker, and received her 200 hour RYT training from the world renowned Asheville Yoga Center. 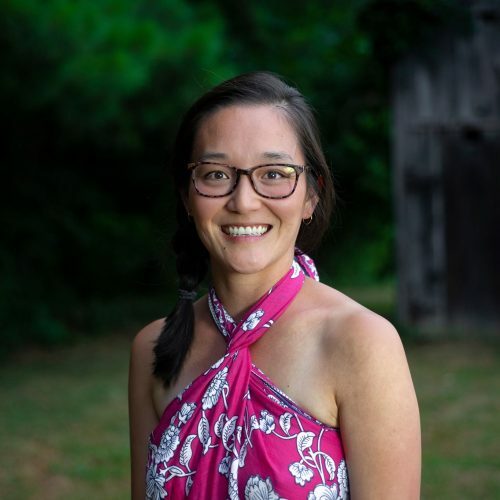 She is currently working on her 300 hour certification and has studied restorative yoga, yin yoga and meditation. Her personal style of teaching incorporates a strong connection between breath and body, honoring what feels good for your body in that moment and achieving balance between power and flexibility, focus and surrender. She truly believes that yoga is for everyone and tries to cultivate an intention to let go of what you think yoga should be and accept all the practice holds for you. I’m Ashlee Sheets, I have been practicing yoga on and off since 1998. I have been working as a personal trainer and yoga teacher since 2012. I am certified by ISSA as a personal trainer and sports nutrition counselor. I am also certified as a CrossFit L1 Coach, which helps me understand the importance of recovery even more. I have specialized training through YogaFit in kids yoga, and prenatal. I have also taken many classes on using mindfulness, guided meditation, and aromatherapy in yoga. I love to pull from all these educational sources when I teach. If you are in my class’s there are sure to be essential oils involved! The health and wellness world is something I have always been involved in. My love for yoga stretches beyond the necessity of mobility. I have personally used yoga to help me through the pregnancies and births of my four children, to help myself in overcoming anxiety, and to find inner peace during challenging parts of life. My personal style of teaching varies on the class. Overall I teach with vinyasa flow or power flow. I love to focus on the hips, because we store so much stress and tension in that area. I also enjoy working on standing balances. My favorite thing to teach has to be HOT yoga though. It gives an amazing feeling of rebirth and centering. There is nothing quite like it. I love sharing the power of yoga with others. I consider it an honor and privilege to share this beautiful practice. Namaste. Jessie was first exposed to yoga in 2009 when she took a class offered at her university in Wisconsin where she studied nursing. 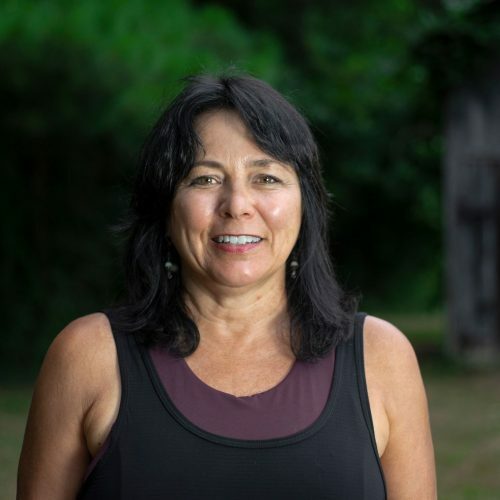 Over the years, she has cultivated a deeper understanding of the practice and has discovered the joy of living a yogic life both on and off the mat. The eight limbs of yoga have helped her to not only achieve physical and emotional fitness but also a deep sense of self-love and worthiness. Her goal is to help her students reach this place of heightened self-awareness and self-love so that they can live a more fulfilled life. 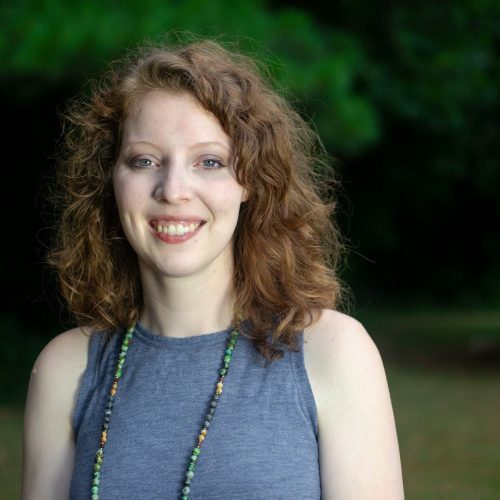 When not doing yoga, Jessie enjoys reading novels, traveling, and taking long walks with her husband and dog, Pearl. My journey into yoga started with physical pain. As a college student lugging around a heavy back pack, as a teacher of young kids having to spend time bent over, and as a waitress on her feet all day…my body hurt! A friend lent me his DVD after my chiropractor suggested yoga. Back then I found it dull, and that was the end of yoga for me. Years later, it came back. I started to practice nightly and my home practice began to grow. Then in 2015, I moved to Colorado. My Yoga Training started in January 2016. From there I took any workshop, training, or class that I could find, learning many things along the way! I love to teach those who think only certain people can practice yoga. I firmly believe there is a yoga practice out there for everyone, and I hope to help find it! As a graduate of the Atma Buti School of Sound and Vibrational Medicine in Boulder CO, Barbara is a certified Himalayan singing bowl practitioner and sound healer. This class asks you to lie comfortably on a mat and receive the vibration of 21 bowls – three sets of seven bowls – based on the system of fifths using the Tibetan Note System. The bowls align with the seven-chakra system. Most of the bowls that Barbara uses come from the Nepali Shakya Clan that has been making these bowls for generations. The Nepali Shakya Clan infuses the bowls with love and positive energy as they hand-hammer the bowls. It is Barbara’s honor to be a part of this tradition and to bring these bowls to Paducah, Kentucky. How do singing bowls heal? When invited, each bowl produces a deeply soothing vibration that dissipates negative energy and restores the receiver’s natural state of vibration. There will be time at the end of each class for questions and sharing, if desired. Come, receive! 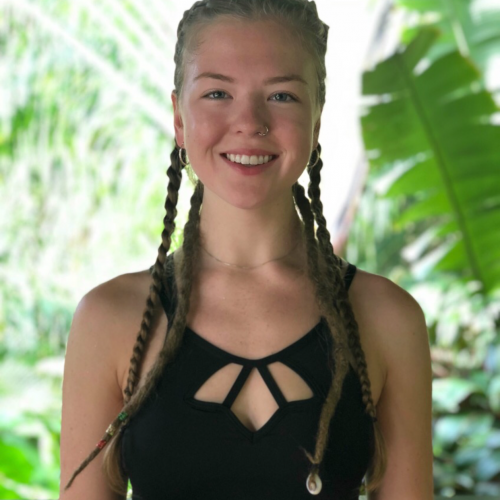 Bri is a registered yoga teacher with the Yoga Alliance and has spent over 200 immersive hours studying under Dr. Liz Lindh in Costa Rica. 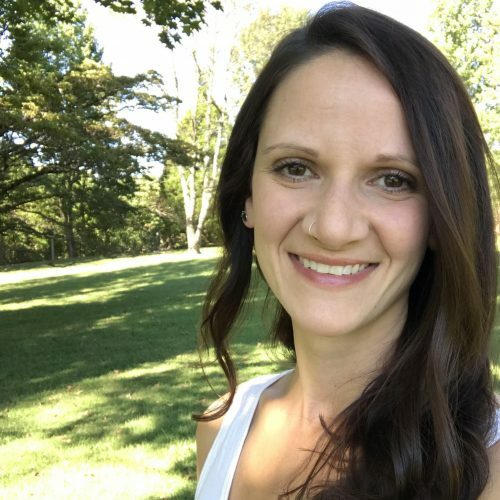 Bri has received education regarding yoga philosophy, the 8 limbs of yoga, Ayurveda, anatomy, public speaking, and communications and she regularly integrates them into her classes. Bri’s classes allow her students the opportunity to experience the cosmic prana flowing throughout their bodies by integrating physical movement, mental concentration, and strategic pranayama. Bri’s mission is to raise the consciousness of humanity and promote healing through the practice of yoga, holistic living, and love. Dell comes from a dance and gymnastics background. She began teaching yoga in 2011 and enjoys teaching power vinyasa, the hot sequence and yin. Dell brings creativity, curiosity, attention to alignment, balance and transitioning, strength, breath, faith and playfulness into the classroom. She enjoys setting students up for success in their practice and providing a challenge. 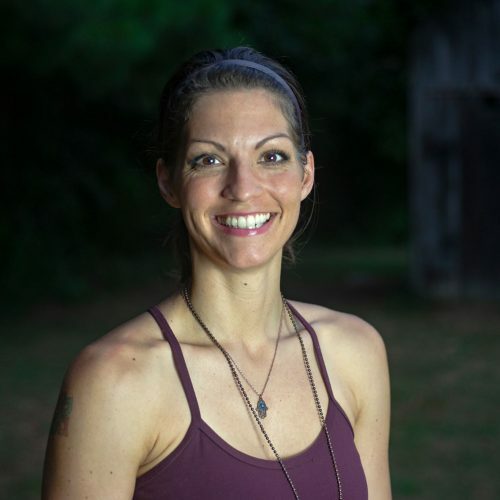 She is passionate about teaching and exploring the connection between the mind and the body, and journeying toward our most authentic self. She enjoys seeing the many benefits and blessings in her students and self, through a dedicated yoga practice. One of her greatest privileges is the opportunity to teach yoga and be part of space filled with like-minded individuals, moving and breathing together in the present moment. Josie has been a student of yoga before she knew about yoga. As a child, she wandered her family’s farm, spent lots of time with nature daydreaming and looking at the sky. With time, she was using this connection to nature to inspire her to connect within for strength and resilience. Drawing inward to strengthen the body, mind, and soul’s relationship is a goal for her classes. Josie encourages all to her classes, because she believes yoga is for everyone. She will gladly start your practice with an easy going approach. If you are returning to your practice, she will meet you right where you are instead of where you think “you should be” to practice. After having two children, Josie heeds a calling to share her practice with moms-to-be. 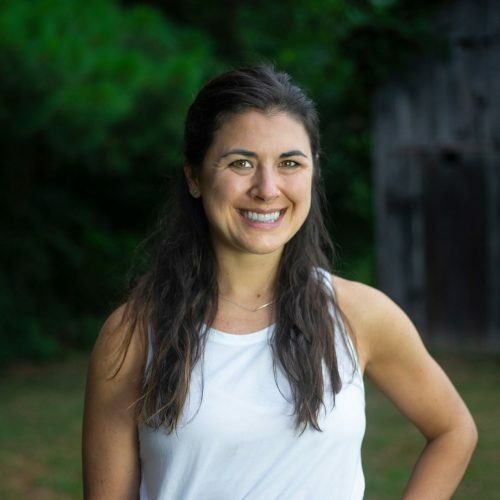 “Yoga for 2 Tuesdays at 2” shares Josie’s passion to connect mothers to their baby, breath, body, and emotions to prepare for motherhood. 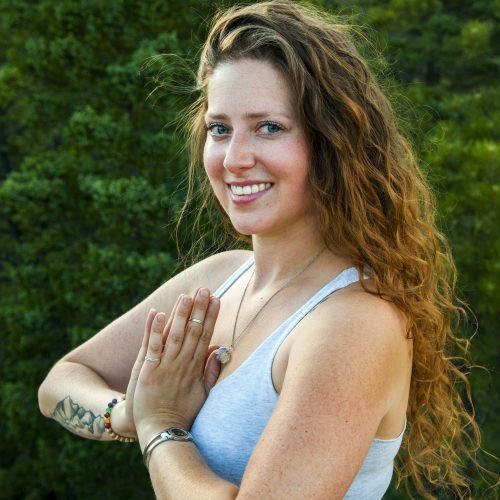 Emily began exploring yoga in her 20’s through virtual classes and online videos. 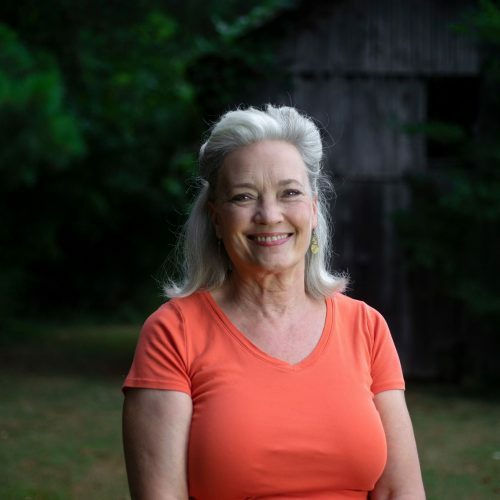 When she moved to Paducah in 2014, she felt drawn to grow in her practice. After reaching out, she was grateful to find a strong yoga community here. She began attending classes 2-3 days a week and quickly discovered yoga was transforming not only her body, but her mind and spirit as well. She gained strength and confidence and became mindful of her breath and movement and how they are connected. Yoga has helped Emily find strength, identity, and purpose. Her passion for yoga inspired her to seek a higher understanding of the concepts of yoga and share the gift of yoga with others. In 2015 she made plans to achieve her goal in becoming a yoga teacher, but the plans were delayed when she became pregnant with her son, Jude. Her love for yoga only continued to grow and in July of 2018 she completed her 200 hour Yoga Teacher Training through Aura Wellness Center. Emily believes that when we view each posture as sacred motion our practice is elevated to something much more than physical exercise. When we connect with our breath, flow through postures and find power in stillness we elevate our body, mind, and spirit to find a greater connection to self. In class, you can expect to become familiar with your breath and let it guide you through your postures and be encouraged to challenge yourself in your own practice.